TV And Videogames Rewire Young Brains, For Better And Worse : Shots - Health News Bombarding young mice with video and audio stimulation changes the way the brain develops. But some scientists think those sorts of brain changes could protect kids from stressing out in a busy world. There's new evidence that excessive screen time early in life can change the circuits in a growing brain. Scientists disagree, though, about whether those changes are helpful, or just cause problems. Both views emerged during the Society for Neuroscience meeting in San Diego this week. The debate centered on a study of young mice exposed to six hours daily of a sound and light show reminiscent of a video game. The mice showed "dramatic changes everywhere in the brain," said Jan-Marino Ramirez, director of the Center for Integrative Brain Research at Seattle Children's Hospital. "Many of those changes suggest that you have a brain that is wired up at a much more baseline excited level," Ramirez reported. "You need much more sensory stimulation to get [the brain's] attention." So is that a problem? On the plus side, it meant that these mice were able to stay calm in an environment that would have stressed out a typical mouse, Ramirez explained. But it also meant they acted like they had an attention deficit disorder, showed signs of learning problems, and were prone to risky behavior. Overall, the results add to the evidence that parents should be very cautious about screen time for young children, Ramirez said. "I would minimize it." A more optimistic interpretation came from Leah Krubitzer, an evolutionary neurobiologist at the University of California, Davis. "The benefits may outweigh the negative sides to this," Krubitzer said, adding that a less sensitive brain might thrive in a world where overstimulation is a common problem. 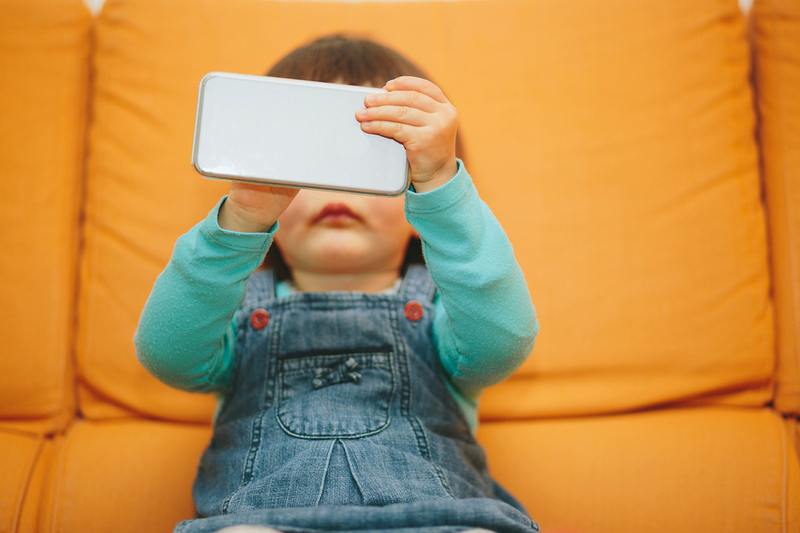 The debate came just weeks after the American Academy of Pediatrics relaxed its longstanding rule against any screen time for kids under two. And it reflected an evolution in our understanding of how sensory stimulation affects developing brains. Researchers learned many decades ago that young brains need a lot of stimulation to develop normally. So, for a long time parents were encouraged to give kids as many sensory experiences as possible. "The idea was, basically, the more you are exposed to sensory stimulation, the better you are cognitively," Ramirez said. Then studies began to suggest that children who spent too much time watching TV or playing video games were more likely to develop ADHD. So scientists began studying rats and mice to see whether intense audio-visual stimulation early in life really can change brain circuits. Studies like the one Ramirez presented confirm that it can. The next question is what that means for children and screen time. "The big question is, was our brain set up to be exposed to such a fast pace," Ramirez said. "If you think about nature, you would run on the savanna and you would maybe once in your lifetime meet a lion." In a video game, he said, you can meet the equivalent of a lion every few seconds. And human brains probably haven't evolved to handle that sort of stimulation, he said. Krubitzer, and many other scientists, said they aren't so sure. It's true this sort of stimulation may desensitize a child's brain in some ways, they said. But it also may prepare the brain for an increasingly fast-paced world. "Less than 300 years ago we had an industrial revolution and today we're using mobile phones and we interact on a regular basis with machines," Krubitzer said. "So the brain must have changed." Krubitzer rejected the idea that the best solution is to somehow turn back the clock. "There's a tendency to think of the good old days, when you were a kid, and [say], 'I didn't do that and I didn't have TV and look how great I turned out,' " Krubitzer said. Gina Turrigiano, a brain researcher at Brandeis University, thinks lots of screen time may be fine for some young brains, but a problem for others. "Parents have to be really aware of the fact that each kid is going to respond very, very differently to the same kinds of environments," she said.